The Budget Committee and Select Board will be touring the Rollinsford Fire Station at 6:30 on Thursday, December 20th. on Saturday, February 10th at 9AM at the Rollinsford Grade School. The Budget Committee will deliberate and vote immediately following the Public Hearing. To discuss communication systems for the Fire Department. The Police Department would like to remind all that fireworks in Rollinsford are illegal unless the user has first obtained a Fireworks permit from the fire department. At this point it is too late to obtain a permit for the July 4 holiday. Illegal fireworks will be seized and the user subject to a fine. We encourage all to have a safe holiday. The Select Board would like to congratulate Firefighter Kayla Reno on receiving her Advanced EMT Certificate. Kayla is a Rollinsford resident and started as an Explorer in 2010. Congratulations Kayla! The Fire Department Association will host a pancake breakfast fundraiser this Saturday, May 6th from 7AM-10AM at the Rollinsford Fire Station. Here is the status of the large projects that the Board is currently busy with. We are writing this on April 21. (If you are reading this in the newsletter distributed with the tax bill, please know that further progress will have been made on all of these projects). Project: Hoyle Tanner and Associates are the project engineers; they are working on the bid package that will be published soon. We expect to award the contract sometime in May and have the work begin in June. We are procuring easement rights from the affected property owners and thank them for their cooperation. We expect to complete the project by the end of October. Financing: the town has been approved for a 30-year loan from the USDA for upto $380,000 at 2.75% interest. The loan amount will be determined at closing based upon actual project costs. Project: the town has awarded the paving and retaining wall contract to Pike Industries for $139,685. 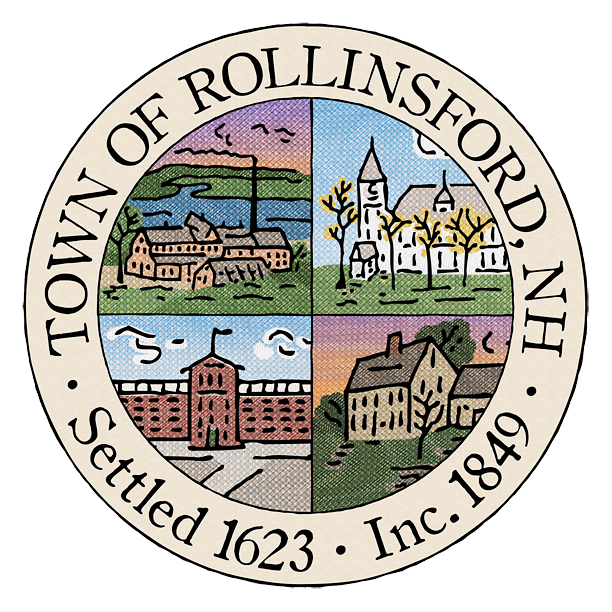 The town has contracted with Atlantic Recycling for the purchase and installation of a new compactor and compactor canister for $30,195. The remainder of the budget will be used to fund concrete pads and the town is in the process of soliciting quotes. Financing: the town has been approved for financing ($190,000) from the NH Municipal Bond Bank. The interest rate and term have not yet been set but we should know by the end of May. Project: the Select Board signed a contract with Toyne Inc of Breda, Iowa for $449,280.73, payable upon delivery of the fire engine scheduled for December-January. DERA Grant: on April 19, the Governor and Council approved the town’s grant application through the Diesel Emissions Reduction Act (DERA). The award amount is $109,336. CivilWorks New England is the project engineer and they guided the RFP process in February. On April 10, the Select Board awarded the contract to Gagnon Construction (Rollinsford, NH) for $38,228. Construction not yet scheduled. The town contracted with NP Giroux Excavating (Rollinsford NH) to do interior repair work in the RPD and it has been completed for $2,250. The town contracted with Pike Construction for the road work on Pinch Hill Rd and Foundry St (with under-drain installed at the corner of Foundry and South). The amount of the contract is $292,293 and the work is scheduled to start before the end of April. The Board conducted a workshop on April 8 and has appointed a space needs committee that will report to the Board on June 12 with a preliminary recommendation. The Board will schedule a public hearing shortly thereafter to solicit citizen input. The committee members are: Chief Ducharme, Lt. Uraskevich, Michael Rollo (ex officio, Board), Bill Irving, Denise Knowles, Kim St. Hilaire, Charlie Putnam, Howard Hammond.